Happy Birthday Casa Perez! — Notorious M.L.E. Well, it's been a crazy year since we got the keys to Casa Perez last memorial day weekend, but between skunks and tree court and exploding everything we're still pretty happy with our house. It is so cozy and just perfect for us. Also, Casa Perez is a big eater, she likes to eat all our money despite her diminutive size... but we still have enough left over for CAKE! Arnold got me this Cafe Cremaux cake to celebrate completing Bay to Breakers, then he let me watch as much New Kids on the Block as I wanted on YouTube. He truly is a wonderful man.... but back to the cake. This cake comes from Ginger Elizabeth in Midtown Sacramento. Ginger Elizabeth is like acupuncture and the palm pilot in that it has CHANGED MY LIFE. I love everything about the place from the ridiculously expensive chocolate(all the better to ensure one doesn't gorge) and the chic decor. 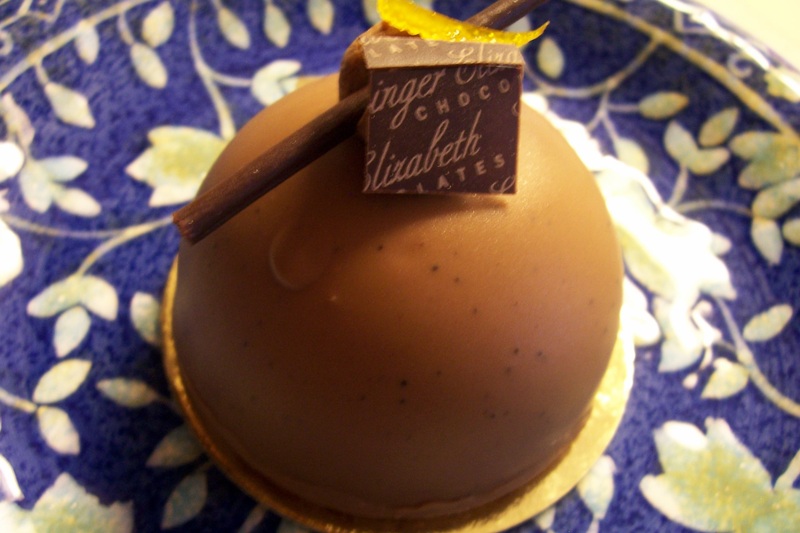 I can't believe I did not know about Parisian macaroons before Ginger Elizabeth. Is it weird that my posts all seem to come back to food? Posted on May 27, 2008 by La Emily and filed under Livin la Vida Loca and tagged Arnold Casa Perez Food.